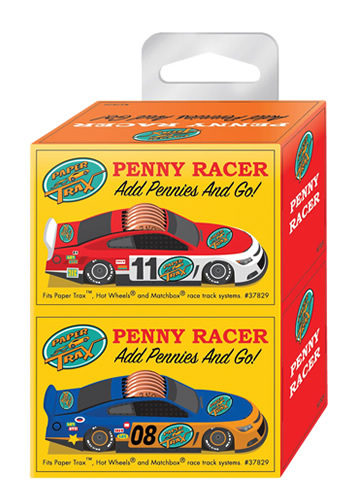 Add up to five pennies to adjust the weight (speed) of the cars racing down the track. Fits standard size Paper Trax, Hot Wheels and Matchbox race track systems. Each car measures 3" x 1.25"